I had the opportunity to attend the Australian Curriculum Studies Association (ACSA) national conference from the 4-6 October 2017. The focus of the conference was "What if?". You can check out the conference twitter back channel hashtag #ACSAWhatif in the storify. Below are some of my reflections from the 3 days. My major take away from the conference was considering the questions "What is curriculum, who controls it and what should it be?". A diverse range of presentations and workshops from teachers demonstrated that teachers have an enormous opportunity to have some control over what and how they teach, but reporting and exams (eg HSC, Naplan) and expectations of parents, students and systems place limitations on what and how teachers teach. So how do we give teachers explicit permission to take the educational risks required to take some control over the curriculum required to engage their students. Has NAPLAN become the de facto curriculum? Is this what we really want or need? Jan Owen talked about FYA research that has "analysed how disruption to the world of work has significant implications for young Australians" Is the current high stakes exam based curriculum preparing our students for this different future of work? In the last week of Term 1, I was involved in something different. Bradfield Senior College ran a Project week for all Year 11 students. The College took a risk and threw away the normal timetabled classes, in its place we created individual plans for project teams that reflected their requirements and the teachers and resources available. There were tears, stresses, meltdowns and successes but these are things happen in life. Overall, this was one of the most amazing weeks of my 20 years in education. To see students excited to be at school on the last day of term and able to communicate what they are learning. What a win. 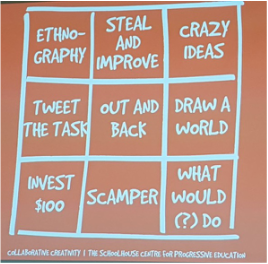 This post is likely to be long, but I'll try to briefly discuss the path we have travelled over the last few years to get to the point of having a project week, what we are doing this year with students and some of the lessons and thoughts from the week. At Bradfield every Year 11 student is enrolled in the Industry Experience Program as part of their studies. This program is an integration of three courses: the HSC 2 Unit course Work Studies, a Certificate III in Employment and Training and a Certificate I in Information Technology. Our timetable is built around the program being run on Fridays (there are no other classes on Fridays). We have been running this program in various structures for 20 years. Participate in a Connect mentor program, to help them to transition and settle into both the College and to Year 11. It includes competing an induction program to access all the systems and services and working with their "Connect" teacher. Every Connect teacher is allocated about 8 students.and the group meets each week for at least 30 minutes. As all students are new to Bradfield the program is an important key to supporting students to integrate into a new College. 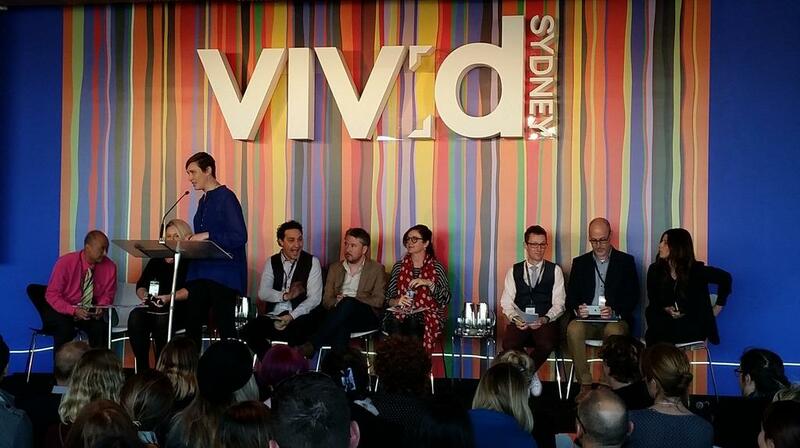 In 2016, we were fortunate to host a Creative Careers Day as part of the Vivid Ideas festival. Along with over 40 workshops run by creative industries representatives, students undertook projects that were part of the day, including performances, an art exhibition, an art market, STEM exhibitions etc. This created an opportunity for students to have a real external audience for their work. We applied again this year and were again successful and are running another Creative Careers Event as part of the Vivid Ideas festival. After our experience last year, we had a better understanding of the types of projects that would be required (and would engage students), so we developed a range of project briefs to reflect these needs. Students applied for a job role within a project, based on the provided project briefs. Having a real role they were applying for created a clear purpose and focus for their resume, cover letter and job interviews. Based on the projects students applied for, we allocated teachers and resources to support the projects. Not all of the projects got off the ground because of a lack of students applying (such as a Science research project on micro plastics), others we thought would be small ignited the students' interest and so expanded to be larger teams (such as the Secrets Team). Last year students struggled to have enough time to complete the projects. We also thought having a block time would help them to develop other knowledge and skills, including time management, creativity, team work. It would also give the projects a focus by having them present and talk about their project's progress to an audience. The last week of term is traditionally a difficult week to engage students and our attendance over the last few years has been disappointing in this week. Project teams were able to spend the week making and planning, including going on excursions. A couple of groups visited the Aged Care home, to interview people and to do a music performance. Students were so excited about being able to show off what they had done so far. Having feedback about how their projects were progressing and having external people talk to them had given them clear ideas about what they now need to do to get ready for the final deliverables. The one hour presentations were amazing, every group's presentation was different and reflected the students and their project. One of our students who has social anxiety did one of the presentations, I thought he had the most well spoken delivery of the groups. Another group did an Graham Norton style interview of students about their experiences and as always the music and drama students did a song with all the students coming from the audience and participating. Another key aspect and focus for the project week was that every student had a student led check-in interview. Student were asked to put together a folio of their work from Term 1 and to reflect on their strengths, successes and things they were proud of as well as areas they wanted to work on in Term 2. Every student had about 10 minutes to present to two teachers. I gave teachers instructions to listen and let students do the talking. Some students who were at risk or under achieving in some areas had parents invited and had one of the Assistant Directors in on these interviews. With this positive focus, it was such a privilege to hear the student's perspective of their progress. It was great to be able to tell a student who is struggling that you are proud of what they have achieved. In one of my interviews, all four adults in the room were all in tears, about what the student had achieved (but if you looked at what they had done on paper you would have thought they were not engaged or had achieved little this term). Based on the positive experience of the student led interviews, we are looking at changing the traditional parent/student interviews in Term 2. From "speed dating" type conversations with each teacher, to a student led conversation with the parents and 2 teachers. I have blogged previously about Spiderman's motto "With great power comes great responsibility". I was amazed at the maturity and learning the students were able to show during the week when we gave them responsibility. So when you give students freedom they demonstrate responsibility, or if you flip, when students have the opportunity to take on responsibility they gain their superpowers. I haven't written a blog post for a long while even though I still have ideas and thoughts that I want to reflect on and share. For a while I was in the routine of creating regular posts, but it has dried up recently. I know when I write it helps me to clarify my ideas and the feedback and discussions posts generate move me to a higher level of understanding. It is a place where I grow. So why haven't I blogged? Many of my current ideas and arguments are too new and immature to bring to an audience. But blogging I find helps to fast track these ideas. Writing doesn't come easily to me. I've always had ideas (I'm a good dreamer), but struggle to quickly put these into a clear written argument (I wasn't an English person). So moving an idea to writing takes me time to both finish the dreaming and then to write, edit and rewrite. Share this goal with people who can coach me through my struggles and hold me to them. Why do we stress so much about the ATAR? When did it become so important? Why is this number deemed to be the measure of 13 years of education? One of my favourite recent quotes of 2016 was "The ATAR has a shelf life of 2 weeks", as it is only used for that small window at the end of each year, to get into particular (high demand) courses at University. So, 70% of students (and their parents) stressed of the ATAR for no good reason? Finally, does this number measure how prepared students are for life or work after the HSC? I would love to know how many employers ask in job interviews "What ATAR did you get? I only employ people with a high ATAR?" If not the ATAR, how should we measure student development in their 13 years of education? AND what should we measure? A mark in an exam, or the entrepreneurial skills required for future employment? ​As the year quickly comes to an end. The following are a sample of quotes that have resonated with me this year and made me think. What has made you think this year? I have been thinking about how to help students be more successful and where to best put resources to help this to occur. Working in a Senior College with 15-19 year olds, most students come with habits and routines already ingrained. For some students these are negative and destructive, with regards to their schooling, relationships and ability to work with others. Out of necessity, time and resources are often spent solving problems caused by these already ingrained negative habits when we would rather be trying to help students change them. Self-control is the ability to override thoughts, impulses and emotions. So self-control is the ability to control your emotions, rather than have your emotions controlling you. They said that children with poor self-control went on in adulthood to have more physical health problems, financial difficulties such as bankruptcies and less stable relationships. They discussed the marshmallow test as an example of where you can see the level of self-control in a child (see here for an article about this research). This is where children are given one marshmallow and are told they can eat it now or if they wait 15 minutes they will get a second one. The children who can wait have learnt strategies from people around them that enables them to control their urge to instantly eat the marshmallow and then have strategies to take their attention away from the marshmallow for the next 15 minutes (they also must have trust in the person doing the test that there will be a second marshmallow at the end). This ability of self-control is not set, it can be improved and the earlier you support students to improve it, the better the outcome. So back to my students. The question I’m now asking myself is how can we help/teach students who are almost adults to have better self-control? Reduce their chance of dropping out of school. ​So my next task is to investigate how to teach students to improve their self-control. Any suggestions or resources welcome. She then made everyone think about a lesson plan that would get us fired(!) with the idea that deviant thinking encourages creative thinking. Then flip/tame the idea into something that is achievable. John Goh (@johngoh) talked about learning not being about classrooms but what you are doing. He gave examples of how his school is linking beyond the classroom with industry such as @Atlassian and @MCA_Australia, to make the learning real for his students. Michael Stoddard from @adobe spoke about the tools being less important than what you learn and make. Joachim Cohen (@JoachimCohen123) brought his usual energy and enthusiasm. He highlighted the need get students engaged with creativity and technology to develop “out of the box thinking” to solve real problems, using technology such as drones and wearable technologies. This is driven by the fact that 65% of today’s primary students will end up doing jobs that haven’t been created yet. Bridgette Van Leuven from the Sydney Opera House spoke about projects they are running to engage students with creativity. She wants teachers to work with them. At the end of the presentations there was a Q&A with the panel. Overall, each presenter provided a range of reasons for the need to teach creativity to our students. After the seminar we were able to stay to see the Vivid lights come on over the Opera House and see the Intel drones light up the night. A very worth while afternoon, I hope it runs again next year. I have been fortunate over the last 2 weeks to be involved in a number of events that have pushed me out of my normal work environment, to see beyond school and have conversations with a diverse range of educators and people from industry. My College ran two Vivid Ideas events, a “Creative Industries Careers Day” on Saturday 4 June and a “Creativity in Education” Seminar at the Museum of Contemporary Art on Friday 4 June. In between I attended and presented at the Education Nation conference at Luna Park on 7-8 June on “Is school preparing students for life after the HSC”. You can see my presentation here. If you attended any of these events I would love to know what you gained from them. - What does engagement look like? - How do you measure engagement? - How do you engage students? - Are compliant students always engaged? - What sort of engagement is required to prepare students for life after school? - If students are not engaged but are still succeeding at school, is this OK? 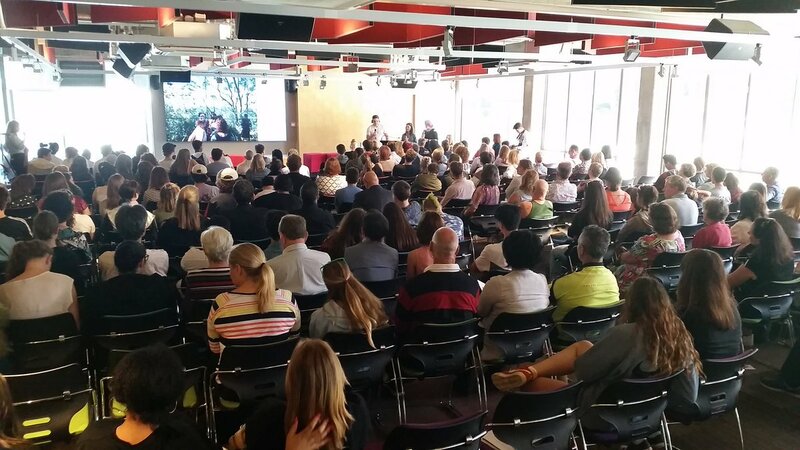 I presented some of my thoughts about engagement in a 7 minute presentation "Engaging 15-19 year olds" at the Opera House Teachmeet (#TMHouse) in December 2015. See my presentation slides here also hear my presentation here at timecode 24.40. Below are some of my thoughts on engagement behind my presentation. This is a difficult question to answer; often parents, students and the community measure student engagement based on the achievement of good results, such as A’s, high Naplan, HSC and ATAR’s, or getting into the right University course. These are often used because they are easy to measure but I would question whether this is the right way to measure engagement, as many students can still achieve excellent results without being engaged. - Have a twinkle in their eye and a bounce in their step. I don’t know the best way to measure and identify when students are engaged, but tests on their own don’t always offer a good insight. What do you think engagement looks like and what ways do you use to identify and measure engagement beyond tests and numbers? What does not being engaged look like? Compliant students can perform well academically, often these can be top students or perhaps students who do just enough to get through under the radar. They can be very strategic about what they do, often just spending time only on what will get them more marks or on what they think the teacher thinks is important. The learning process or content has less value to these students than the grades. So you will often hear “What do I need to get more marks?” or “Just tell me what I need to do”. These students can be ritual about their compliance, with the importance being on pleasing others, making their parents proud for example, or doing enough not to get into trouble. These compliant students are not often questioned about their level of engagement because by all regular measures they seem to be performing and behaving well and thus are assumed to be engaged. When you remove the external extrinsic motivation, what is left? When you finally take away the reasons for compliance you are often left with a shell of a young adult, with no passion, no interests or self-belief. I think we therefore need a balance between providing students with the structure and support to get good marks and giving students the freedom and ownership to discover the reason and motivation to drive their own learning. This balance is a difficult one to do, often you need to give students the opportunity to discover their own selves, but this takes time to develop and learn and is often high risk if the important measure is the next test or HSC exam. Retreating students will quietly disappear within a classroom. They are hard to see because they will not disrupt the classroom and will often do enough to make it look like they are engaged, but their minds can be anywhere but in the room. These students will retreat within themselves when the learning does not capture them. Like complying students, these students often slip through because they don’t make a fuss or do just enough to do OK. Rebelling students are the ones that everyone notices, because when the learning doesn’t interest them they will let you know! They will often do things (such has get into trouble) to avoid doing the work because it does not engage them. 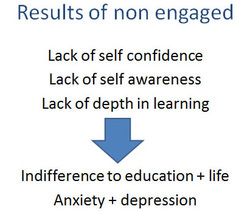 What are the results of not being engaged? This can cause indifference to their education, learning and to life. It can also increase their anxiety around learning because how they see themselves is based on outcome or marks which they can’t control. This can lead to negative mental health outcomes, which further effects learning and relationships. It can also cause major disruptions to other students' learning, especially if they rebel. 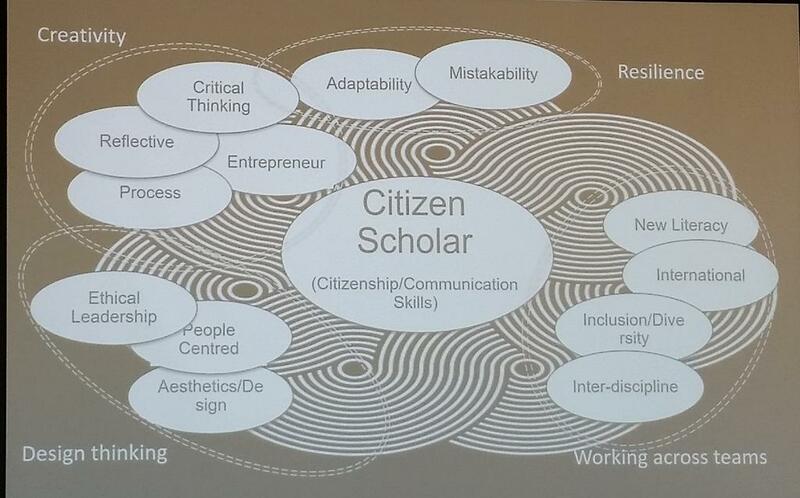 Do we have learning environments and content to engage our students and to prepare them for life after the HSC? In the next post I will discuss some of the programs we are trying at our school to engage students during the HSC to prepare them for life after school. On social media I see (and read) lots of articles that espouse what you need to do to be more efficient, more organised or a better leader. Most sound good in theory, but don't work in practice because they require too big a change (at once) to make them succeed. I have tried a few, but like diets most just don't last, but this year one did! "expectations are powerful". I realised that people around me, including my boss, did not know explicitly what I was trying to achieve each week. The second email at the end of the week summarised what I achieved or finished that week. I started with the 2 emails to the principal, but after a short period I merged the two emails into one which I sent each Monday morning (and I also started to send to the other DP). Originally I was a bit uncomfortable about sending the emails because they felt a bit try hard and silly, but after a while it become a part of my routine that I looked forward to. I have been able to send these emails for the whole year! when something unexpected comes up that requires you to drop everything and work on it (which often happens), the management team knows about the other tasks or activities that are left hanging, enabling them to add more support or resources. One of the major benefits I have just discovered at the end of the year as I started planning for 2016 is that I now have a detailed list of tasks and activities I achieved each week throughout the year. This is helping me plan and organise my year ahead, with the aim of spreading out some of the workload around busy times of the year.